Way back in 2003, a young lad from Burnley with multi-colored hair dyes came into the English ranks of fast bowlers. Little did he know that from his first wicket, bowling to Zimbabwe's Mark Vermeulen at Lord's he would be part of elite 500 clubs of Test wickets scalping Kraigg Brathwaite at the same venue 14 years later. Becoming only the sixth bowler to claim 500 Test wickets, Anderson joined fellow pace aces Glenn McGrath and Courtney Walsh and spin wizards Muttiah Muralitharan, Shane Warne and Anil Kumble in the club. For a bowler like Anderson, it was forever trying to develop, broaden his craft, perfect his art. From split seam grip, to making the ball wobble to develop mastery of reverse swing and cutters on the flat pitches of the sub-continent, he evolved as the best swing bowler of modern times. The display of great skill and athleticism defines Anderson as the bowler he is today. On the cusp of surpassing Glenn McGrath in the next few matches, let us look at the finest spells of this legend. 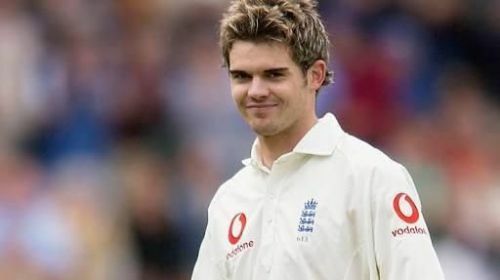 Having made his ODI debut against Australia and backing it up with impressive performances at the World Cup meant Anderson was ready for the first Test of the 2003 English summer under huge expectations. Anderson delivered more than expected with a brilliant 5-73 against a considerably weaker Zimbabwe outfit but what stood out was his grit in bowling full, fast, in-swinging yorkers, castling four out of his five victims.